By adding alternative text to an image you are helping internet searches "read" your photos. In website builder WebWave adding an alternative text is easy. In this article, you will learn how to build a website with images with image description. 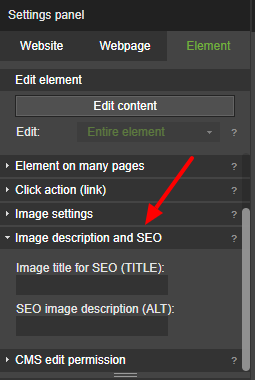 In order to add alternative text, select an image and in the Settings panel open "Image description and SEO". Type alt text in SEO image description (ALT).